Made-for-TV fare which follows the Hollywood trend for hyper-stylised Asian-inspired action, although this is quite obviously at the cheaper end of the market. The story centres on a group of Cuban communist enforcers who are sent on a mission to remove the arm of the country’s top baseball star, who is looking to make a move to America. 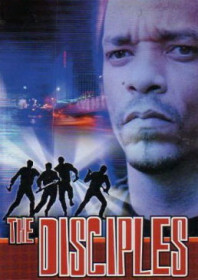 In their wake are the Disciples: a group of young, Miami-based kung fu fighters who are sent by their sensei to protect the sports star. The leader is played by the rapper Ice-T, who claims to have played Monopoly with Bruce Lee. The film focuses entirely on style over substance. The cast are kitted in gothic trench coats and skin-tight leathers lifted from The Matrix costume department. The busy soundtrack and fast editing is a constant headache, reducing any potential excitement in the lame fight sequences. And just to prove how bad it really is, Hong Kong director Kirk Wong (Crime Story, The Big Hit) refused to put his name on it. He is credited under the pseudonym, ‘Alan Smithee’.